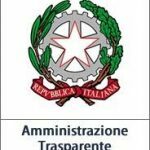 SI AVVISA CHE IL CONSIGLIO COMUNALE E’ CONVOCATO PER LE ORE 21.00 DEL GIORNO 05.04.2019. IN QUESTO SITO IN ATTI PUBBLICATI ALBO PRETORIO AL N. 92 E’ CONSULTABILE IL RELATIVO ORDINE DEL GIORNO. Previous Post:ELEZIONI COMUNALI DEL 26 MAGGIO 2019.